When war broke out in 1914, the Chinese declared they would remain neutral – after all, the madness occurring on the continent was nothing to do with them. But by 1916, they too had been sucked into the vortex of a global conflict, for the madness in Europe was creating a new world order, a Geo-political tree, laden with the fruits of power and influence, and many wanted to sample its wares. By 1917, China had been completely seduced and they had officially declared war on Germany. But China’s war-story would be very different to the other belligerents’ and the reasons for this were steeped in earlier entanglements with the European powers, ones that had severely tainted the oriental view of Westerners. During the nineteenth century, China’s power and influence on the world stage had begun to wane and in order to garner favour she had started to lease her ports and infrastructure to western countries. Westerners began to exert more and more influence, and were soon granted many freedoms and privileges, which enraged the common population and lead to civil unrest. This culminated in the rise of ‘The Boxers’, a group that waged war on anything and everything Western, leaving a trail of death and destruction in their wake. Despite its initial successes, the rebellion was no match for the industrializing European powers, who reacted with violent retribution and imposed heavy sanctions on China, resulting in the country falling even further under the oppressive European yoke. Europeans promoted their superiority from an economic, religious and political perspective, humiliating many Chinese and leading the country to become more and more destabilized. In 1912, the pressure became too great and the Chinese Empire collapsed. General Yuan Shikai, a brutal military leader, whose oppressive regime further split the country, quickly ceased power and by the start of the First World War China was in virtual turmoil. Despite originally proclaiming neutrality, when Yuan Shikai died in 1916, the ruling powers decreed that China had to get involved in the war. Unless she could regain influence on the world stage, she would find herself cut adrift in the new global order being created in Europe from the destruction of an industrial war. China wanted to side with the British and the French, but Germany held considerable territories in her country, so men were sent to Europe, not to fight, but to work for the British and French war effort – a task that was to prove almost as dangerous as manning the front line trenches of No Man’s land. 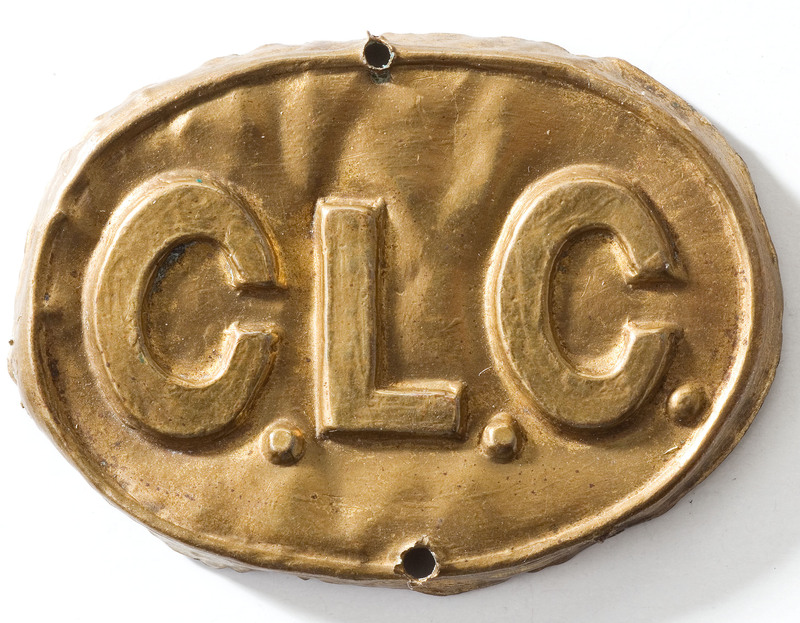 The cap badge of the Chinese Labour Corps (Copyright In Flanders Fields Museum). The recruitment of Chinese workers began in earnest in January 1916. During the Western occupation of Chinese territories, many of the indigenous population were employed as ‘Coolies’, workers with virtually no rights, who were ruthlessly exploited by their European overlords. But this new venture would be different and the British and French guaranteed that any man who was willing to join the war effort would be well looked after. The workers would be paid and it was promised that a percentage of each man’s wages would be sent back to his family at home. Another vital part of the contract of employment stated that no worker from China would be exposed to the dangers of the front lines. For the men that signed up to go to Europe, their ordeal began the moment that they set foot on the boats: for the frontlines were more fluid than had been imagined. The workers massed at ports such as Tianjin, Shanghai, Pukou, Hong Kong, Weihai and Qingdao (Tsingtao), where they were crammed into the cargo holds of freighters bound for Europe. The Chinese were rarely, if ever, allowed to leave the bowels of their transport ships during the two-month journey to Europe. Interpreters were the exception, occasionally allowed to exit the hold when the ships docked at port, returning when they sailed again to tell the frightened men sheltering deep within the boat’s entrails of the new cultures and strange worlds that they had encountered. Many of the workers had never left their villages, let alone their country, and the experience of joining the apparatus of an industrial war must have been overwhelming. Ships would travel westward, via the Suez Canal, and eastward via Canada and the United States, the workers all the while quarantined in the stinking bellies of the transport vessels, or packed into freight trains for arduous treks through alien lands, ensuring that the Chinese never actually touched the soil of the countries they passed through. There are few examples of contemporary accounts of these tumultuous crossings, but one prominent recording of the experience survives. In the 1930’s, Gu Xingqing, who heralded from near Shanghai, wrote a diary of his experiences in the Chinese Labour Corp, which he entitled ‘Memoirs of My Work During the War in Europe’ and much of our insight into this lesser known aspect of the First World War comes from this precious object. On arrival in Europe, the workers were sent to various camps, the largest of which was at Noyelles, located on the banks of the Somme estuary. Straight away they were put to work on the railways and docks, as well as in tank workshops, such as the one at Teneur, in Northern France. They also toiled in forests, factories, and mines, as well as in the shattered fields that cowered close to the front lines. At the end of their shift they would return to camps surrounded with barbed wire, whose proximity to the Front meant that they would often be bombarded by German artillery. Conditions were harsh, but workers were allocated decent food rations, along with a plentiful supply of cigarettes. Letters could also be sent home, once their contents had been strictly vetted. Chinese labourers leave the ruined village of Vlamertinghe on their way to work. (Copyright In Flanders Fields Museum). Subject to military law, often the consequences for the Chinese of committing crimes and misdemeanors could be severe. However, there is no real evidence to suggest that they posed any sort of law and order threat, even when the war ended and many found themselves less closely monitored in the wastelands of France and Belgium. However, the Chinese culture had not gone unnoticed and when a worker was suspected of a crime, these ‘foreigners’ usually received short shrift – the aromas, tastes, sights and other-worldliness that the Chinese brought with them were fascinating to the local population, but the new arrivals were not welcomed by all. Despite this, the British and French observed many of the Chinese traditions, and days off were given for occasions such as the Dragon Boat Festival, the Mid-Autumn Feast and the Chinese New Year. Although assured that they would be safe in Europe, many of the workers found themselves very close to the frontlines – and that was if they could reach the continent at all. On 17th February 1917 the French transport ship, Athos, was sunk by a German U-boat in the Mediterranean. Some 543 of the 900 Chinese on board were killed. Many of those that perished had been recruited by the European powers without the direct knowledge of the Chinese government and so they were unidentifiable, as official records did not exist. As a result, laws were soon changed and China declared that from that point forth every citizen should be known to the central government. Once in France and Belgium they would often have to carry out hazardous tasks such as carrying live ammunition, and after the war many workers collected bodies and unexploded munitions from the battlefields – a lethal landscape that was still full of dangerous killing weapons, closely guarded by a vengeful Mother Earth. As if this wasn’t enough, the outbreak of Spanish Flu that swept over Europe like a plague after the war claimed scores of Chinese lives. 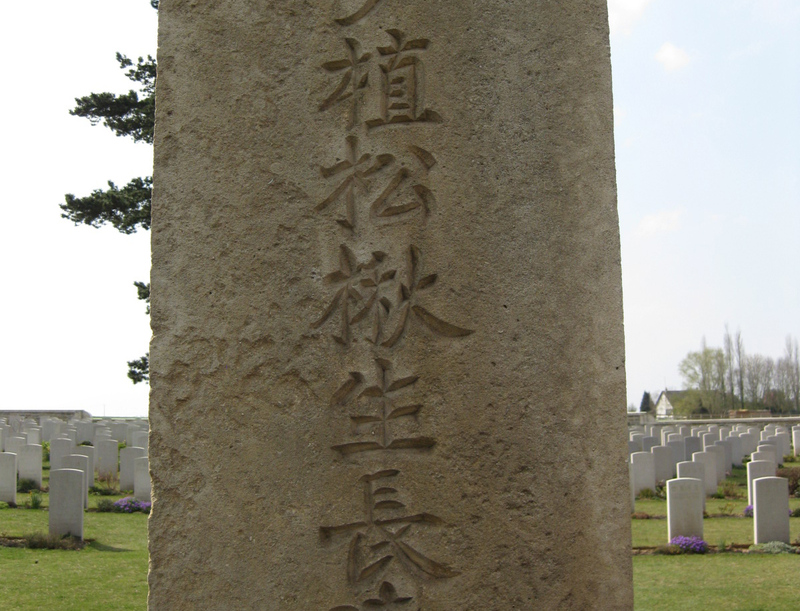 Many of the war’s Chinese victims are buried at the cemetery at Noyelles, a small corner of an eastern land, almost forgotten by a western one. The cemetery is analogous to the other British cemeteries along the old frontlines and is tended by the Commonwealth War Graves Commission. The Chinese Labour Corp cemetery at Noyelles (Copyright Matthew Leonard). In November 1918 the first drafts of workers began to depart for home, with the last man finally reaching China in 1920. Approximately 140,000 men travelled to Europe and after the war many stayed in France to live and work. Some were also simply abandoned to their fate in the chaotic period after the war’s grand finale. It is estimated that more than 2,500 Chinese workers lost their lives during the conflict, but the exact number remains unknown. 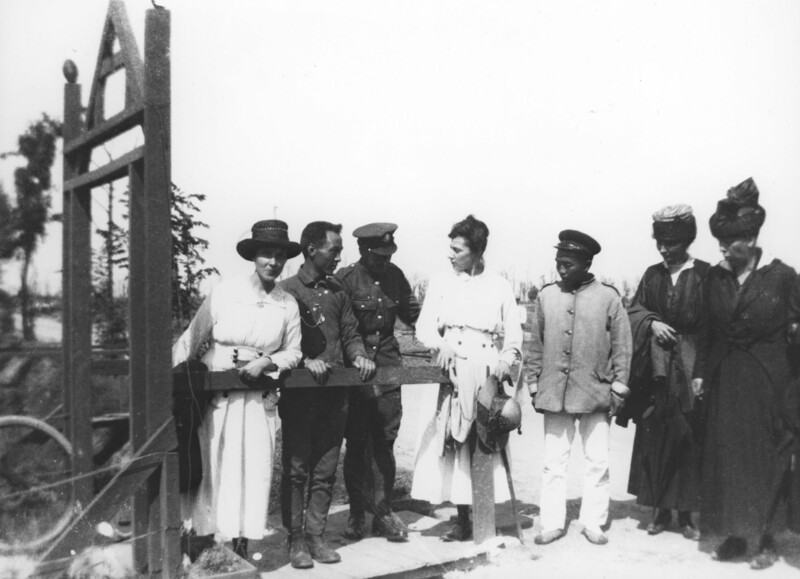 Chinese labourers posing with battlefield tourists in 1919. (Copyright In Flanders Fields Museum). 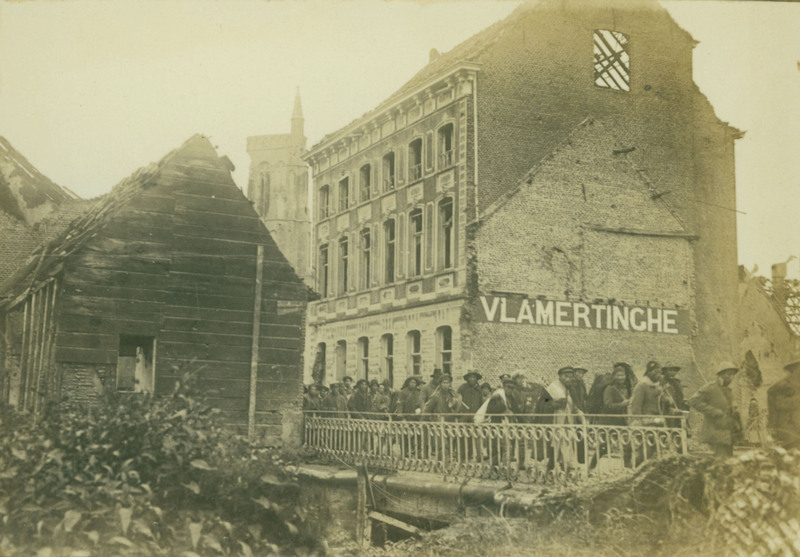 The European experience clearly affected the Chinese and after the war funds were raised in China for the orphans and war widows of Belgium, and the Chinese president contributed personally to the reconstruction of Ypres. In 2010, the In Flanders Fields Museum hosted an exhibition on the Chinese Labour Corp and a rare collection of Chinese trench art was assembled, which included several intricately decorated cartridge cases. These rare items of material culture combined East and West in an object of war, inextricably entwining two alien cultures together in the branches of the new world order. These objects also contain the objectification of the Chinese experience during the conflict; homesickness, courage, skill and solidarity. After the war, China was to discover the true cost of her reticence to get militarily involved in the conflict. At Versailles they found themselves sidelined by the new world powers, and consequently they refused to sign the peace treaty. The First World War was a global conflict that affected everything it touched, and China, like many other nations, soon found out that her contribution to the great struggle had not been sufficient enough for her to taste the fruits of power and influence that had grown ripe on the battlefields of Europe and beyond.